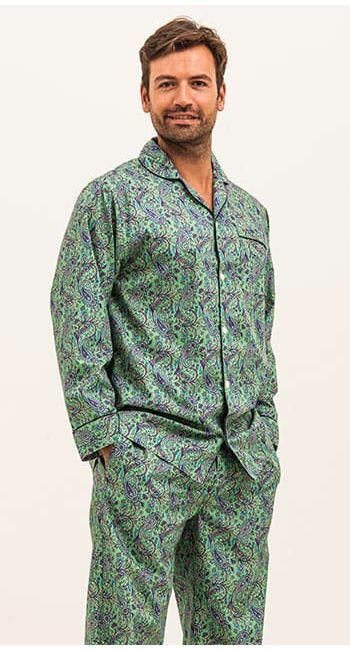 A striking green paisley pair of cotton pyjama bottoms. Made in Britain like all of our nightwear. 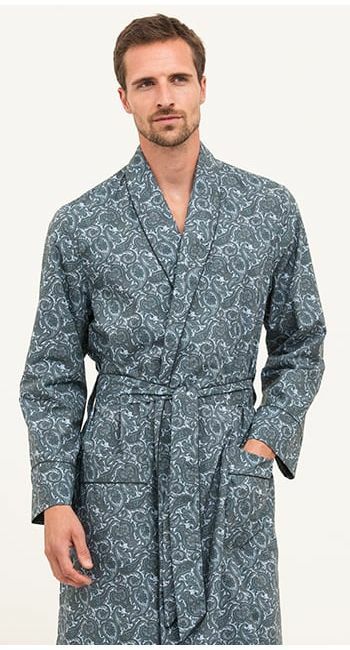 Stylish paisley print in a crisp cotton. Also available in blue. 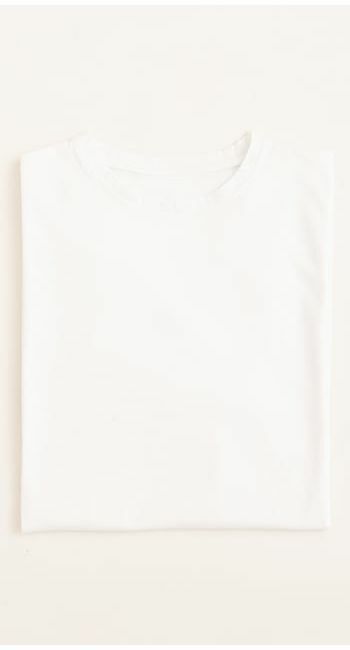 Complete the look with one of our luxury white Supima cotton t-shirts. Fabric type: Printed cotton poplin.